Hooray for a holiday weekend! I am beyond excited that I actually have the weekend off. (Well aside from editing, that is). I did three shoots this week so that I could block off some family time and enjoy a bit of summer. Of course, the forecast is now calling for rain, rain, rain. I sure hope that changes so that we can enjoy a backyard bbq and some fireworks. 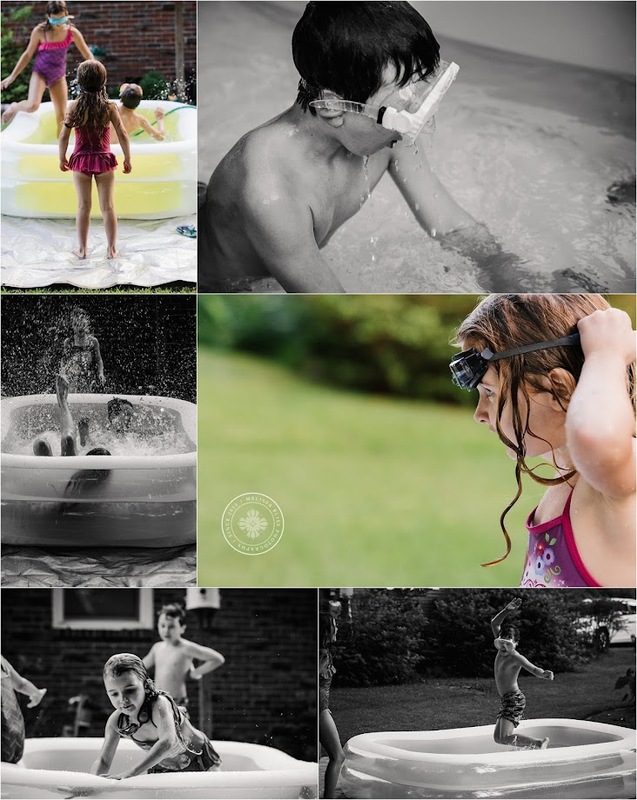 This week was busy, but we squeezed in some old school summer fun after I bought the kids a small pool and slip and slide. I love watching them splash and play! The following are a mix of D750 and iPhone pics. We also spent a fun morning playing at a local pool where I met the lovely Angie Klaus and her beautiful family. Angie and I have been friends online for a while. She has offered great encouragement to me on my photography journey and I was thrilled to have a chance to meet her in person. If you don't follow her work, you should! Find her page here. Unfortunately, I didn't get a photo of the two of us together, but we were in bathing suits and ,you know, it wasn't an ideal photo op. 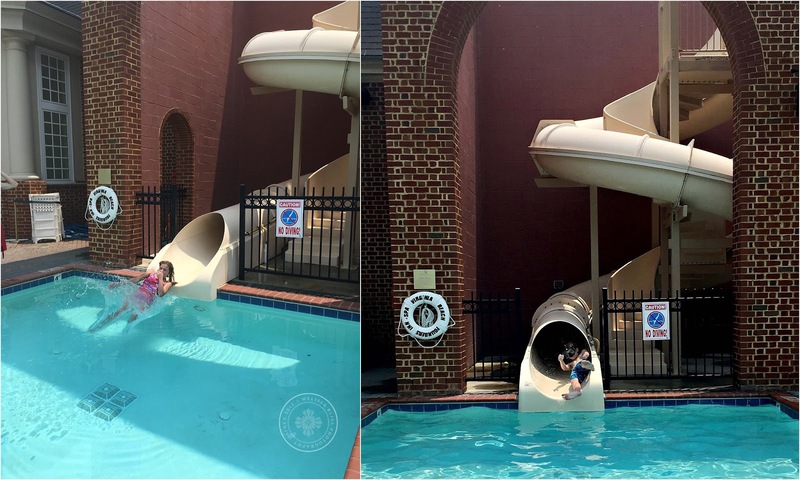 I did take a couple shots of the kids enjoying the pool slide. Thank you so much for stopping in. Enjoy the holiday weekend and stay safe!! 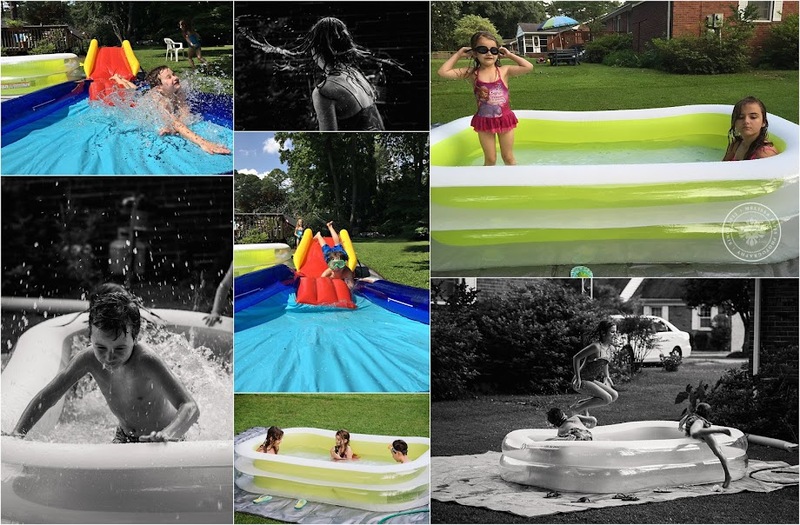 Your lovely photos take me back to my childhood summers - swimming & bathing was the top activity ever! How fun to get to meet Angie! The water fun looks fantastic. Oh my goodness what a great week. How fun for the kids. Have a safe & blessed weekend my friend!!! Hugs!